I knew the minute I put my paws around her neck and kissed her that I picked the right kitty mom. She knew I was special too. When I first met Chris, who is autistic, he pulled my tail and roughhoused with me. That was okay because I calmed him down, and he started to love me and treat me nicely. That's when my mom knew that I should visit other children and share my love. 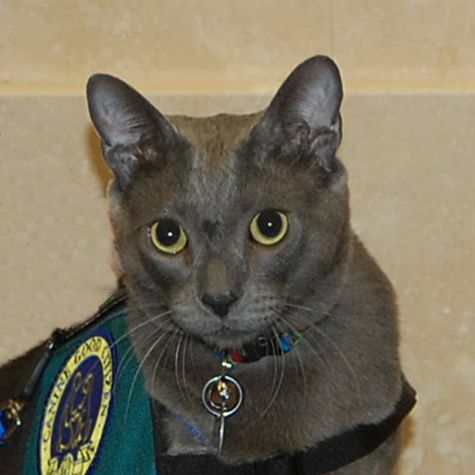 I am most proud of being a therapy cat for Love On 4 Paws because I get to make a difference in people's lives.